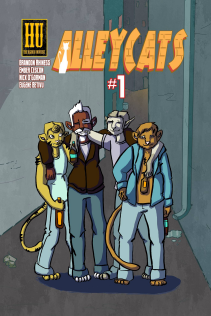 Alley Cats is about 4 down-on-their-luck, stray cats who call a dirty back alley their home. Fishbreath, Cheeseball, Scaredy, and Dermot do what any self-respecting stray cats do — smoke cigarettes, look for food, hang out, and get into trouble. 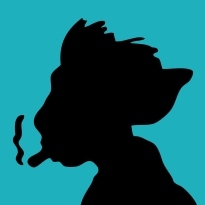 Read reviews of Alley Cats or submit your own to fanreviews@thehigheruniverse.com.